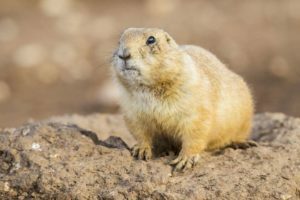 The 10th Circuit Court of Appeals in Denver has issued a mandate which reinstates Endangered Species Act (ESA) regulation of the threatened Utah prairie dog on non-federal lands. The decision overturns a 2014 U.S. District Court for the District of Utah decision that removed federal ESA protection for the species on non-federal lands and transferred management to the State of Utah. The species is now regulated under the ESA across all land ownerships. A visit to prairie dog towns in Odessa was not on my agenda during a recent vacation to Big Bend National Park. But a mountain bicycle accident had me laid up for week in the city’s hospital, while Kathy gave me daily reports about prairie dogs she had seen between the hotel and the hospital. She told me how the squirrel-size mammals stood smartly on their hind legs atop cone-shaped dirt mounds over an intricate network of subterranean abodes forming their townships. Flea and Small Mammal Species Composition in Mixed-Grass Prairies: Implications for the Maintenance of Yersinia pestis. 1Department of Biology, University of South Dakota , Vermillion, South Dakota. 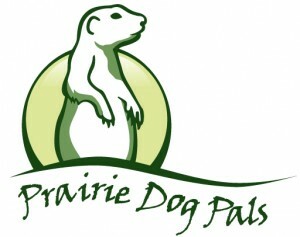 Maintenance of sylvatic plague in prairie dogs (Cynomis spp.) was once thought unlikely due to high mortality rates; yet more recent findings indicate that low-level enzootic plague may be maintained in susceptible prairie dog populations. Another hypothesis for the maintenance of sylvatic plague involves small mammals, other than prairie dogs, as an alternative reservoir in the sylvatic plague system. These hypotheses, however, are not mutually exclusive, as both prairie dogs and small mammals could together be driving sylvatic cycles of plague. The concept of a bridging vector has been used to explain the transmission of pathogens from one host species to another. In the case of sylvatic plague, this would require overlap in fleas between small mammals and prairie dogs, and potentially other species such as carnivores. 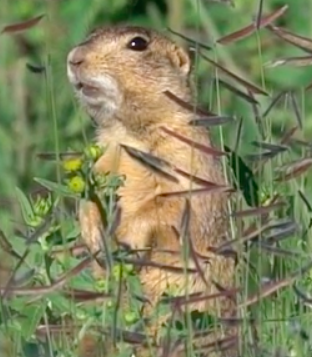 Our goal was to evaluate the level of flea sharing between black-tailed prairie dogs (Cynomis ludovicianus) and other small mammals in a mixed-grass prairie in South Dakota. We investigated the species richness of small mammals and small-mammal fleas in a mixed-grass prairie system and compared findings with previous studies from a short-grass ecosystem in Colorado. Over the summer field seasons 2014-2016 we live-trapped small mammals, collected fleas, and showed differences between both the flea and small mammal composition of the two systems. We also recorded higher densities of deer mice and lower densities of northern grasshopper mice in mixed versus shortgrass prairies. We confirmed, as is the case in shortgrass prairies, a lack of substantial flea species overlap on small mammal hosts and fleas from prairie dogs and their burrows. Moreover this study demonstrates that although small mammals may not play a large part in interepizootic plague cycling in shortgrass prairie ecosystems, their role in mixed-grass prairies requires further evaluation.